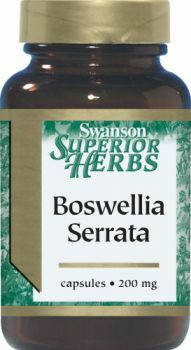 Give your joints what they need - Swanson all-natural Boswellia Serrata extract. This Indian herb has a rich history. 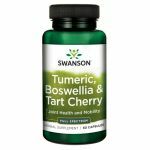 Widely-used in Ayurvedic medicine, it has helped many people around the globe keep their joints in perfect shape and enjoy painless movement. 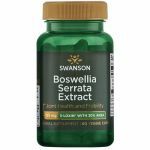 For ultimate effect, our capsules combine 200 mg of Boswellia Serrata extract (standartised to 70% organic acids and 20% boswellic acid) with 300 mg of herb powder to ensure daily and efficient care for your joint health. Other ingredients: gelatine, may contain one or more of the following: microcrystalline cellulose (plant fibre), magnesium stearate, silica. 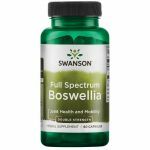 Directions for Use: As a nutritional supplement, take one capsule once to twice daily with water.